The Fayetteville City Council selected a new vice mayor before the start of the first meeting of 2017. The council on Tuesday elected Ward 4 Alderman Alan Long to the position. He replaces Ward 1 Alderwoman Sarah Marsh, who has served as vice mayor since January 2015. The vice mayor post is a mostly ceremonial position that fills in when the mayor is absent. Mayor Lioneld Jordan has so far been present at all 198 meetings since beginning his first term in 2009, but has on a few occasions stepped out of the council chambers briefly during a meeting, requiring the vice mayor to take over as chair. 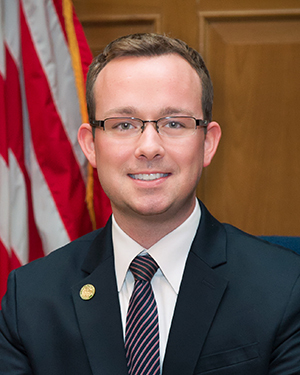 Long was elected to the post by a vote of 5-3. Before the vote, Alderman Mark Kinion nominated Marsh for a second term, and Alderman Justin Tennant nominated Long. During the vote, Long received votes from Tennant, Adella Gray, Sarah Bunch, John La Tour and himself. Marsh received votes from Kinion, Matthew Petty and herself. Also on Tuesday, the Fayetteville City Council approved 21 appointments to 11 open board and committee positions. Most appointments are recommended by the mayor or the council’s Nominating Committee, which is comprised of one alderman from each of the city’s four wards as chosen by the mayor each January. Members of the 2016 Nominating Committee included Sarah Marsh (Ward 1), Chair Mark Kinion (Ward 2), Martin Schoppmeyer (Ward 3) and Alan Long (Ward 4). Fayetteville citizen committees consist of mostly volunteer citizens who resident within the city limits and are registered voters. Vacancies are posted here on the Flyer once each quarter.